Dr. Szyling is a general dentist. General dentists are doctors of the oral cavity. They specialize in the treatment, diagnosis and prevention of diseases and conditions of the oral cavity. Dr. Szyling graduated from University of Detroit Mercy Dental School in 2011 at the top of her class with awards in Operative (dental fillings), Endodontics (root canals) and Student Leadership. 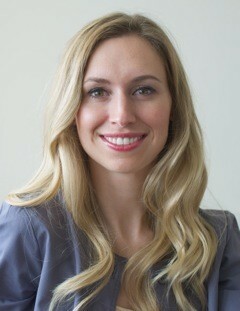 She also received a Periodontal Clerkship Certificate (supplemental training in gum disease and gum surgeries). She speaks English, Polish and French fluently. She offers evening hours and also provides IV sedation and Botox injections. In her spare time, Dr. Szyling enjoys traveling, experiencing Edmonton's vibrant theatre scene, and dining at the delectable restaurants Edmonton has to offer. Dr.Szyling holds her patients well-being and care in the highest regards, allowing her to provide the best possible gentle dental care for all patients in order to facilitate a comfortable and long-term relationship. My Mission Statement: I am committed to providing the best in quality care in a safe environment while performing to the highest standards of dental procedures. I look forward to developing and maintaining long-term relationships with my patients to ensure that they can enjoy many years of better health through dentistry. I will offer dental treatments that meet the patient’s needs by providing a broad range of dental services and choices. These treatments will be rendered in a fresh, innovative and most importantly, gentle manner. I make it my personal mission to make my patients dental experiences relaxing. By keeping my staff positive and energized, and by creating a PERSONAL relationship with each patient, I hope to covert people who don't like going to the dentist to patients who enjoy coming to see me!